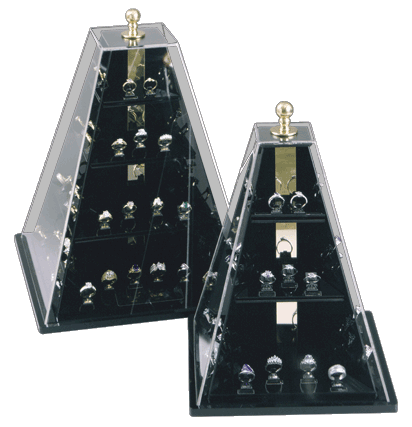 This beautifully modern acrylic display is available in two (2) sizes. It has been designed to display either 36 or 60 rings. This Pyramid design is also available in any of our hardwood selections. The larger display is 12” square and 16” tall. The smaller display is 9” square and 12” tall.